There are many childcare options in Gladstone, Mo. One of these is Kids Kingdom Gladstone, a full-service day care and early childhood learning center that welcomes all families. For many parents, quality daycare is essential to working a full-time or even part-time job. The staff at Kids Kingdom in Gladstone, MO strive to make not only the children, but families comfortable. 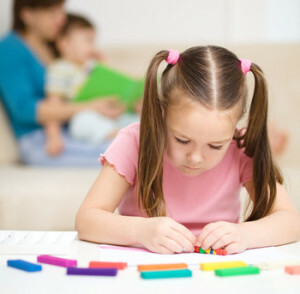 They know that your children will spend much of their day in their care, so quality service is of the utmost important. As with any daycare option, be sure to take a tour of the Kids Kingdom Gladstone facility and ask for references. It is also good to check to see what ages of children the facility accepts. Most Kids Kingdom facilities accept children as young as six weeks, but it is always good to ask. Remember that fees for infants and toddlers may cost more to enroll because they are not yet potty-trained. What makes Kids Kingdom special is that it is also an early learning center. Children are never too young to start learning, but for two year olds and up, the daycare offers a more structured option. A preschool curriculum can help children prepare for kindergarten by introducing early literacy skills as well as social skills necessary for a school setting. The children love the activities they get to do. If you walk through the facility during class time, you will hear laughing and see smiles on the children’s faces. All of the children from the two year olds on up love to learn, and especially have fun in an environment created just for them. It is also a great option for toddlers because it gets them acclimated to more of a school setting before they enter elementary schools. Kids Kingdom creates the perfect foundation for children to get ready for school with its pre-kinderegarten programs. Just as the name suggests, this program focuses on preparing children for what they can expect in kindergarten. Daily lessons are scheduled in mathematics, reading and writing and trained teachers help with language development and behavior. Unlike preschools, care facilities like Kids Kingdom that offer pre-kinderegarten programs assist parents in two ways – providing educational curriculum as well as caring for their child. This means parents can have one drop off and pickup location, while getting the benefits of both childcare and preschool. 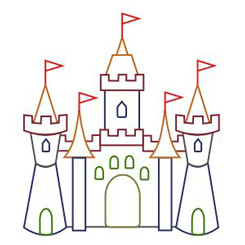 When looking at care options for your children, consider a facility like Kids Kingdom in Gladstone, Mo. Whether a family has infants, toddlers or school-age children, Kids Kingdom is the facility you can trust with your children.